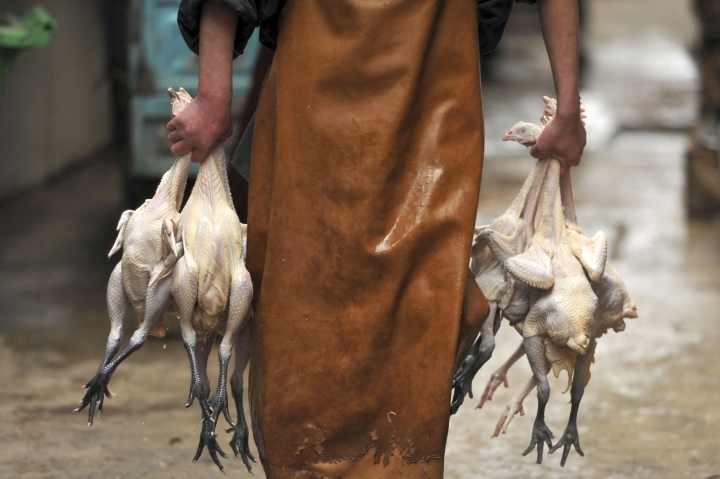 BEIJING — China is ordering the closure of live poultry markets in its south-central regions as it grapples with the worst outbreak of bird flu in years that has killed at least 87 people. State media reported Friday that the National Health and Family Planning Commission ordered closures anywhere with cases of the H7N9 strain. Most reported cases have been found in the densely populated Yangtze and Pearl river deltas from Shanghai to Hong Kong. Those areas generally experience mild, wet winters that are ideal for the virus transmission. In all, more than 250 cases have been reported from 16 provinces and regions, including as far away as the southwestern province of Yunnan. The death toll since the start of the year has been unmatched since at least 2013. In addition to the market closures, the commission is training health workers in the screening, early diagnosis and treatment of the disease, while urging people to avoid contact with live birds. H7N9 is considered to be less virulent than the H5N1 strain that the World Health Organization has linked to hundreds of deaths worldwide over the last decade. H7N9 is not believed to be transmitted between humans, but rather by infected poultry. China has gained extensive experience in dealing with such crises since being hit by the 2003 SARS outbreak that was believed to have originated among animals in southern China. A preference among Chinese for live-bought, freshly-slaughtered poultry complicates the government's efforts to eradicate such diseases. The official Xinhua News Agency said the market closures this time have "greatly reduced the number of new infections in many regions," citing Ni Daxin, deputy director of the emergency response center at the Center for Disease Control and Prevention. This story corrects virus strain.